Old and vintage photos of Hollywood are on the hollywoodphotographs.com website. 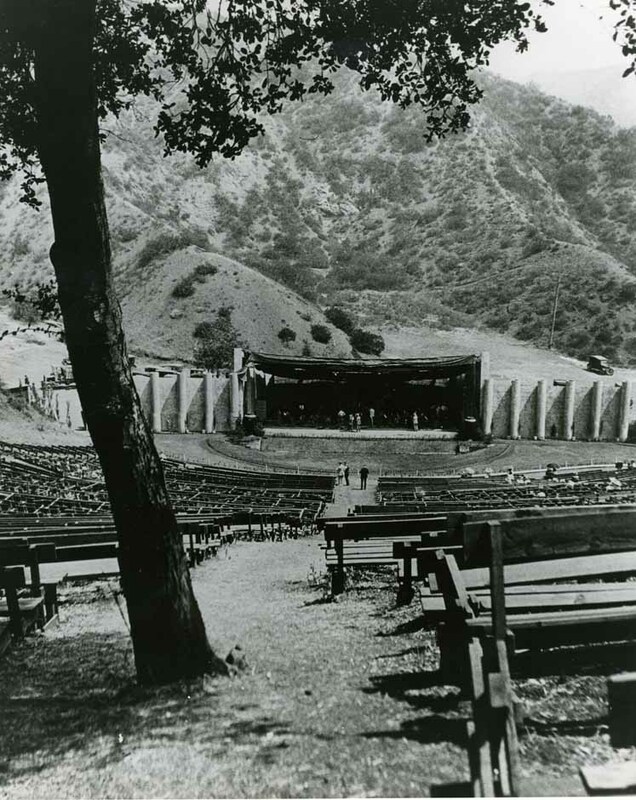 Two vintage jewels in Hollywood’s cultural treasure trove are the Hollywood Bowl and the John Anson Ford Amphitheatre. 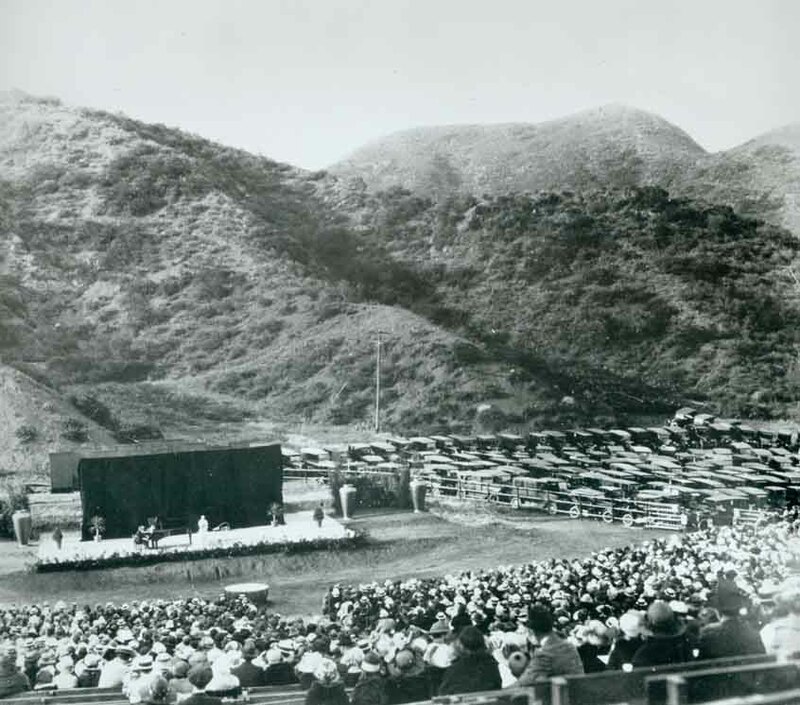 The world famous Hollywood Bowl is the largest natural outdoor amphitheater in the U.S. according to Carol Merrill-Mirsky, who is the Director/Curator of The Hollywood Bowl Museum. The Bowl is built into the hillside, and is virtually identical to the ancient amphitheater of Greece and Rome. The Hollywood Bowl is world renowned as the finest outdoor amphitheater. 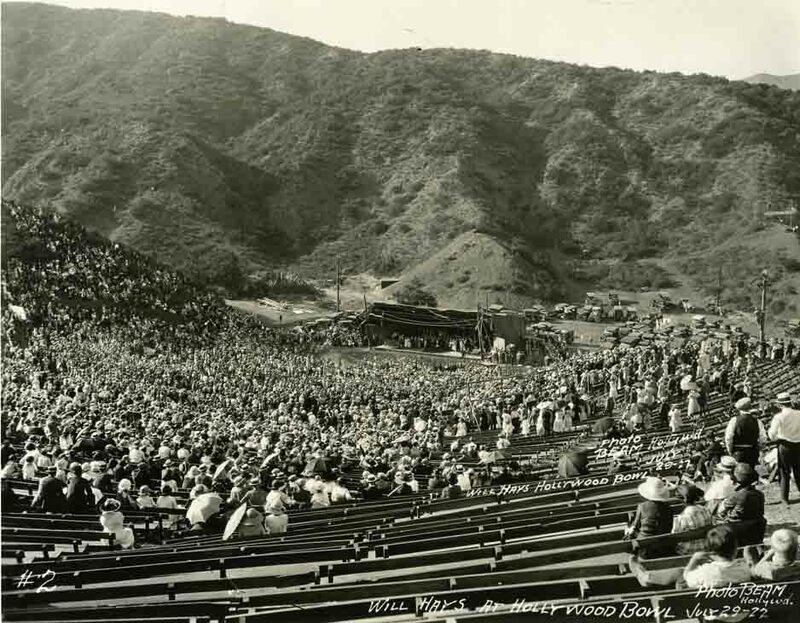 The Bowl got is start in 1920 when the residents of Hollywood walked up to Daisy Dell in Bolton Canyon to take part in a the Hollywood May Festival. In 1921, the First Easter Sunrise service was held in Daisy Dell. At about the same time, several residents tested the acoustics of the canyon and found it to a true natural amphitheater. 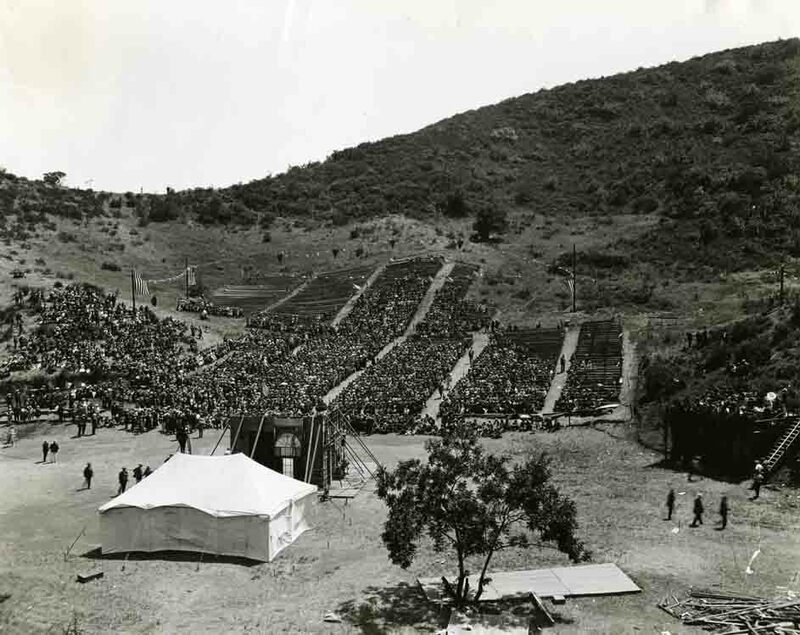 The Bowl officially opened on July 11, 1922 on the site of a natural amphitheater formerly known as the Daisy Dell.